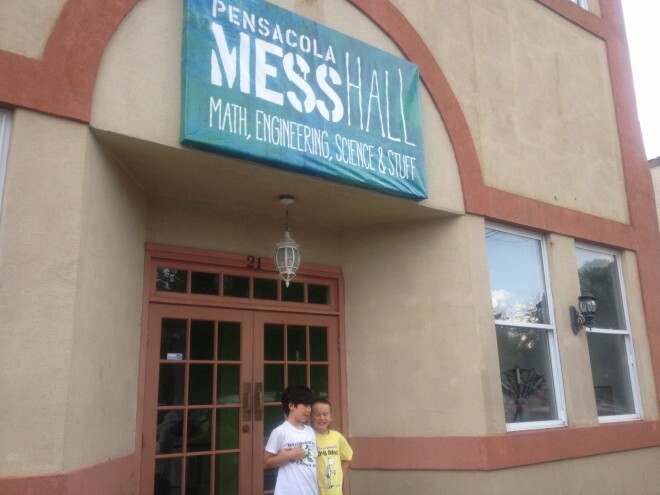 My sons and I have already paid two visits to Pensacola, Florida's newest science museum, the Pensacola MESS Hall. Where MESS = Math, Engineering, Science, and Stuff. My husband is now bugging us to go. At the MESS Hall, everything -- and we mean EVERYTHING -- is meant to be hands-on. There is guidance for math and science activities, but the kids drive it all. Yes, really. There is no wrong answer at the MESS Hall.